If you’ve been involved in a motorcycle accident, you know how life-changing the experience can be. 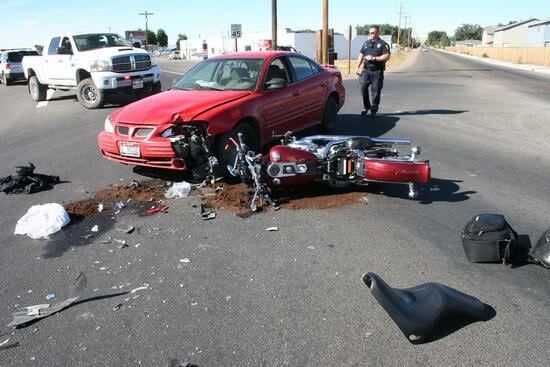 At Hutchison & Stoy, PLLC, we’ve helped countless motorcycle accident victims. Our page on motorcycle accidents not only provides you with the information needed in the event you are injured in a motorcycle accident, but also with helpful information to promote safe riding. In the event you find yourself needing legal representation for a motorcycle wreck, call Chris Stoy, the Fort Worth Motorcycle Accident Lawyer at (817) 820-0100 or fill out a free case evaluation online. Before you decide to start riding motorcycles, you need to understand the risk your undertaking. If you’re ever going to be involved in a motorcycle crash, statistics say it is going to occur in a curve or at an intersection. Most motorcycle riders understand that riding is riskier than driving. A motorcycle is less stable than an automobile. You must balance a motorcycle at lower speeds and control of cornering forces as higher speeds is required. Motorcycle Riders are More Vulnerable. Automobile operators are protected by frames and sheets of metal. At most, motorcycle riders are usually only protected by leather and a helmet. Motorcycle Riders are Less Visible. Motorcycles are smaller and present a narrower object than most vehicles. A motorcycle rider is heading home around 6:00 p.m. after a long day at work. He is taking his normal route home, which includes a sharp curve followed by an intersection. An 80-year-old woman with glaucoma and cataracts is stopped at the intersection. The driver considers slowing as he approaches the intersection but is in a hurry to get home. The lady, temporarily blind by the sun, pulls out and the rider swerves into a ditch to miss the vehicle. Now, perhaps the lady should not have been operating a vehicle, but perhaps the sun caught her just right. Maybe the rider wasn’t very good at swerving. How could the rider have known the lady operating the vehicle couldn’t see well in the sun? Our attorneys follow a theory called “Reduce the Variables”. As riders, we can never remove all risks associated with riding a motorcycle just as we cannot remove all risk associated with driving a car. But, we can reduce the variables that could cause injury. Wear a helmet, don’t ride when angry, don’t ride when tired or intoxicated, slow down, even when you don’t think you need to. These are just some precautions you can take to Reduce the Variables. Awareness of the risk is one thing, but if you’re going to ride, and be good, you have to accept the risk. Often, hesitation can lead to accidents. If you’re constantly in a state of fear about riding, perhaps riding isn’t a thing for you. No matter what, before considering becoming a motorcycle rider, it is highly suggested that you take the Basic Ridercourse sponsored by the Motorcycle Safety Foundation. What do people say about the way I drive my car? Have I been in a lot of car wrecks? Do I get distracted easily while driving? If you chose to ride a motorcycle, you should learn to manage the risk. Many people think that a good motorcycle rider is someone who has great skills, or who can ride fast. That’s not necessarily so. And while being a cautious rider and one that obeys the law is certainly helpful, even those traits aren’t what truly makes a great rider. A great motorcycle rider is one who knows how to manage the risks. Skill and maneuverability beyond that which is actually needed The rider should possess the skill and ability to manipulate and control the motorcycle at all times. In order to manipulate and control the motorcycle, it is important that you only ride a motorcycle that fits you properly in terms of weight, size and power, in relation to your skill level. Traction beyond that which is actually needed. Traction is a finite resource when it comes to riding a motorcycle. You must possess enough traction for any type of road surface, whether it be wet, dry, ice, etc. at all times. Time and Space. A rider should always maintain a space fusion and escape path so that he/she can smoothly respond to situations. A rider should always maintain a safe speed. Before you start riding motorcycles, you need to take a good, hard, long look in the mirror. Will you make good choices? Can you commit yourself to remain attentive at all times while operating a motorcycle? Can you manage your desire to act foolishly? A self-awareness test is critical before starting to ride a motorcycle, but it also necessary as our skills and experience improve. You’re not being cocky, just because you know you’re a good rider, but it’s almost inevitable that your confidence goes up with your riding ability. A rise in skill and confidence encourages and allows riders to take greater risk. However, as your skill increases, you should continuously take self-awareness tests. Did I get too bold on the road today? Did I have a near miss? Maybe I should slow down? Maybe I should take an advanced rider course? A rider should always possess enough skill to handle the risks presented. Moreover, a rider should always have good Risk Offset. Risk Offset is the difference between the risks a rider takes and the skill the rider possesses. Having a game plan when it comes to riding can lead to a safe and enjoyable experience. As discussed above, most motorcycle crashes happen at intersections and curves. With preplanning, you can reduce the likelihood of being in a motorcycle wreck. If you’re given the option of more than one lane, pick one where you don’t have to change often and one where you can see and be seen. Always maintain a four-second cushion between you and traffic ahead. If you’re riding on a freeway, try to avoid the right lane, especially at entrance and exit ramps where merging, yielding and road traffic conflict occurs. As a motorcyclist, you each lane of road traffic provides you with three “motorcycle” lanes: left, middle, and right. Presentation is a motorcycle term used to describe the use of a lane position so other motorists have the best chance to see you. This especially applies as a rider approaches a line of oncoming cars. Think ahead and use all your senses to determine what position you should be in and when you should change. Don’t just think of the road from your perspective. Consider it from the other driver’s perspective. True, not all motorist look twice for motorcycles, but you can do your part by being visible in the event they do. The age old wisdom when it comes to riding a bike is that it’s not so much yourself you have to be concerned about, its the other drivers on the road. Anyone that’s ever ridden a bike knows this. Bikes are smaller, lighter and have much less of a presence on roadways than their four-wheeled counter parts. Combine this with other factors and typically we find that its the other party who is at fault for a bike wreck. Because riders are not protected like truck and auto operators, the injuries bikers sustain are typically much worse. 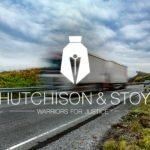 At Hutchison & Stoy, PLLC, we have helped a countless number of clients get treatment for the injuries they received from a motorcycle wreck with no upfront money out of their pocket. We can do the same for you. To learn more, follow this link. 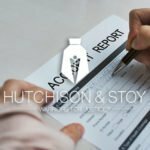 How Do I Contact Hutchison & Stoy, PLLC? If you’ve been injured in a motorcycle accident, call someone who knows the bike world. 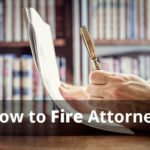 Contact Chris Stoy at Hutchison & Stoy, PLLC today for a free, initial case consultation. You can contact the office at (817) 820-0100 or fill out a free case evaluation online.